Beautiful, unique and sympathetically refurbished Victorian Fisherman's cottage in Whitstable's Conservation area. Ideally situated in a pretty road at the start of Whitstable High Street. Small cosy front lounge with feature cast iron fireplace, sofa and armchairs with a 1950's flair, dining room with table and chairs, sofa and chair with French doors leading to a pebbled courtyard. Fully fitted kitchen with dishwasher and fridge freezer, utility area with washer/dryer and downstairs bathroom. Upstairs there is a double bedroom with fitted wardrobe and chest of drawers, a twin with two single beds fitted wardrobe, chest of drawers. Additionally there is a small upstairs shower room with power shower, WC and wash basin which is quite unique for a cottage of this type. A travel cot is available on request. FREE Parking in the road and surrounding streets is available. An ideal weekend choice for guests attending weddings at Whitstable wedding venues. We purchased the cottage in 2010 when our daughter was studying at nearby Kent University in Canterbury. In November 2014 we commenced a total refurbishment and we are so pleased with how things have turned out. We have lived in London all our lives but have always holidayed in Kent since children so it holds a special place in our hearts. We love Whitstable and we are sure everyone does who visits this quirky little seaside town just south of the busy City of Canterbury. The cottage is situated just off the Canterbury Road at the start of the busy High Street. there are no parking restrictions in the road so on street parking is available. There is no need to drive as Whitstable Railway Station is situated five minutes walk away with the High Speed Rail Link into London St. Pancras is just over an hour or Victoria in an hour and fifteen. Buses also run frequently to Canterbury and a new service along the coast to Margate. The cottage is situated within five minutes walk of all the pubs and restaurants that Whitstable has to offer. The High Street also offers several small supermarkets and a range of independant butchers, greengrocers and bakers. Along with several good fish and chip shops, an evening in the pebbled courtyard with a take away and a glass of wine is a must! There are also several antique shops, art galleries and charity shops along with a locally produced cheese shop, cupcake shop and for those of you that remember, an 'Offy'...an off licence! Also you must not forget what Whitstable is famous for, it's Oysters, so why not try during your visit at one of the Oyster Bars or sea food stalls in the Harbour. Inside the property we have furnished it to provide you with a luxurious home from home stay. There is a small quaint front sitting room in 1950's style with TV to relax in, a spacious dining/family room with TV/DVD, game compilations, local history books, sofa and dining table. The fitted kitchen has a new electric oven with gas hob and integrated dishwasher and fridge freezer with complimentary tea, coffee and sugar provided. There is a washer/dryer in the utility room and a beautiful large half tiled bathroom. upstairs the twin room sports a nautical seaside theme whilst the double room is tranquil in shades of cream overlooking the courtyard and garden. The upstairs shower room is small but adequate and complimentary toiletries are left for your use along with freshly laundered luxury towels . Downstairs bathroom and upstairs shower room with complementary shower gel, soap,shampoo/ conditioner and body lotion for you to use. Beautiful property - smelt lovely! We had a lovely stay but the house was little cold and we noticed it was a hive system, the hot water was not very hot. It was also a little difficult to get in at first but we managed. A lovely house in a great location so would stay there again. A wonderful little cottage. We really enjoyed our long week end at the cottage. The cottage itself was in a lovely quiet street, a ten minute walk from the main seafront - probably faster without small children! The rooms were nicely done and the beds very comfortable. The garden would be lovely for an al fresco meal in summer. We'd definitely like to come back some time! We can highly recommend this lovely cottage. Everything we needed to enjoy our New Year break was there and the house was stylish, clean, tidy and warm! We walked into Whitstable with ease in 10 minutes and enjoyed long coastal walks and some lovely food in local restaurants. We also took advantage of the train station to get us to nearby towns and in fact didn’t move the car once during our stay. Communication with Donna was prompt and always helpful. A lovely house done out to a high standard. Everything we needed during our 2 night stay was there. It was a bout 10 minutes walk to the sea front and high street which we took full advantage of. Every little detail is thought of and we will have no hesitation booking again next time we are in Whitstable. The owner was quick to reply and very helpful. We enjoyed it very much. Two negatives for us were the very narrow stairs and the tiny bathroom. Of course we are Americans. 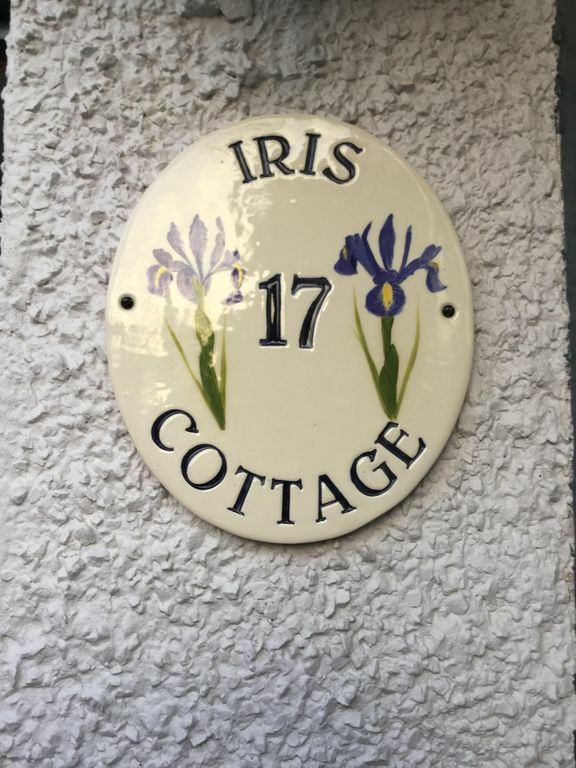 Iris Cottage is situated in the heart of Whitstable's Conservation area. Within minutes you can be either shopping in the High Street with it's array of independent shops and restaurants, not forgetting what Whitstable is famous for, it's Oysters!, or playing golf at the nearby golf course or sailing or relaxing on the quirky beach. Please contact Donna and Rob regarding lets in winter months and we will try to accommodate your request.We have the right to deduct payment from your damage deposit if anything within the cottage is damaged during your stay. PLEASE NOTE CHECK IN AT 3PM AND CHECK OUT AT 11AM UNLESS OTHERWISE PRE ARRANGED! !